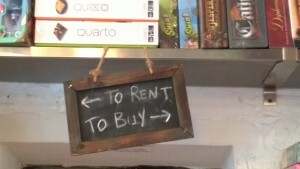 The Future of The Local Gaming Store Hang-out? 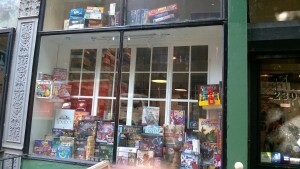 There’s a lot of talk about the impact of on-line retailers and the “death” of the local gaming store. There are even some closed minded curmudgeons (mind you I’m a curmudgeon myself so this is not light criticism) who think board and card games are on their way out due to the electronic alternatives. I’d have to be a fool not to recognized that the terrain is changing, or to not see that we’re in a transitional period. It’s a fact, in this day and age we have more stuff to fill up our spare time than any other time in history. Just look at my Netflix queue, my unpainted miniatures, underplayed games and unfinished game concepts if you need proof. 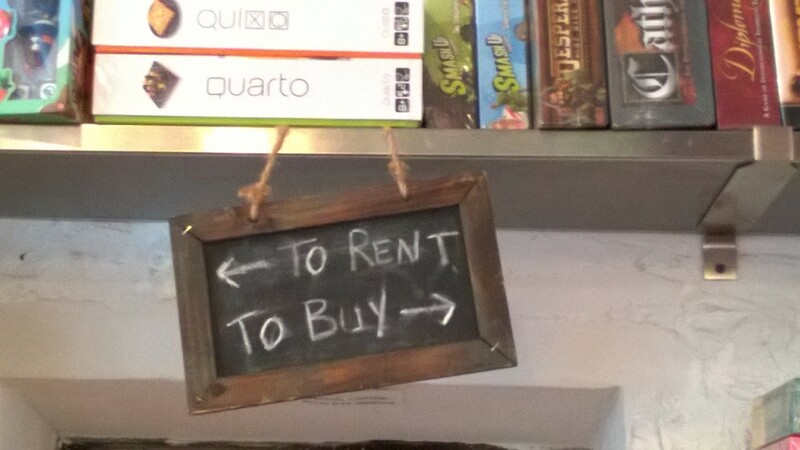 The fact is, as with all retailers in the age of Amazon, that the local gaming store needs to adapt. 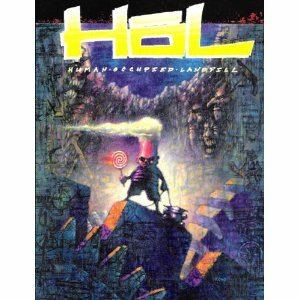 20 years ago there were only a handful of places you could get obscure games, specialized imports or rare small print run indie RPGs (anyone remember HoL?) So today’s game store owners need to adapt to compete against the discounted prices and vast inventory of the online retailers, The way most have done so is to create a community of gamers and given them a place to meet and play together. I came across one such place during my travels in New York City wandering around Manhattan. 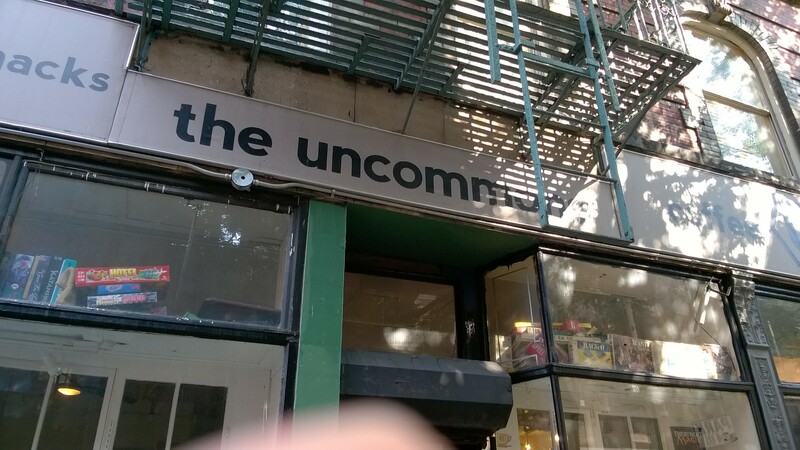 The place is called “The Uncommons“, a coffee shop and local game store where you can buy or rent games to play with friends and strangers. It was doing a fair amount of business for a 4th of July Saturday afternoon. The selection of games to rent was impressive, the ones to buy admirable (about half the shelf space of the rental games), but I’m sure they would bring in any thing you wanted special order. It had the feeling of a mini-convention, where people came to try new games of meet new players. 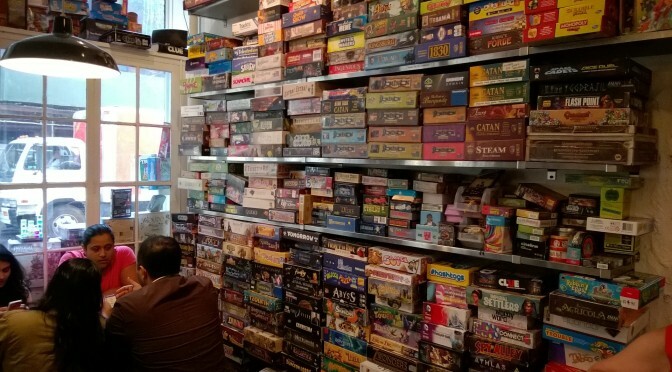 There is many local gaming stores that have done similar things, putting large war-gaming tables with exquisite model terrain to bring in the war-gamer crowd. 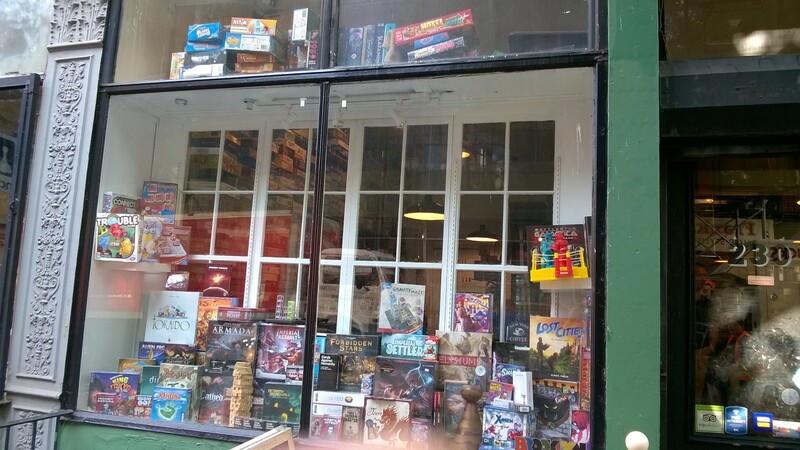 We’ve based our company out of shared space with Rivendell Books & Games in Rehoboth, MA where the owner has a open gaming nights twice a month as well as the usual Friday Night Magic and Star Realms tournaments. Do you have a favorite gaming space or combo-gaming and social outlet? Please comment and let us know. Also please like and share our posts to really help getting the conversation going!